Compare prices from several car hire companies in Badajoz and find the best price for car rental. Our prices always include unlimited mileage and insurance. 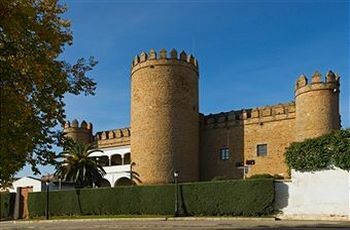 Badajoz property of the southwest Extremadura region and lies near the border with Portugal. This is an inland, located on the River Guadiana and was called the Pax Augusta under the Romans. There are almost 150 000 (2007) inhabitants in Badajoz. An old city gate from the 1500s with two intact towers marking the entrance to the historic district, where you can also see old churches and palaces. Catedral de San Juan was begun in the 1200s, while the Puente de las Palmas is a bridge that crosses the Guadiana and originates from the 1500s. Alcazaba is an old Arab fort, one of the best preserved of its kind in the country. From Badajoz Airport you can fly to Barcelona and Madrid and the airport is approx. 13 km away.